Benjamin Feder, CEO of Take 2 Games, has ruled out a Wii version of ´Grand Theft Auto IV´. Feder spoke in the company´s Fourth Quarter Fiscal 2007 Results Conference Call, answering a question by Citigroup analyst Brent Thill. Brent Thill (Analyst, Citigroup): Just a follow-up on Grand Theft Auto, can you just give us your conviction level for the Q2 ship and have you thought about putting GTA on the Wii? Strauss Zelnick (Chairman): We wouldn’t say it if we weren’t convicted. Benjamin Feder (CEO): (laughs) We have a high conviction level and right now I think, no disrespect meant for the platform, but I think there are other titles that are better suited to the Wii than Grand Theft Auto IV. In terms of publishing platform revenue, Wii was Take 2´s fourth biggest platform from August to October at 11 percent of revenue, after the Xbox360 (44%), PC (19%) and PlayStation2 (14%). The financial report makes specific note of a "robust demand for Wii products" as a major cause for a rise in revenue. The company shipped more than half a million units of its Wii exclusive ´Carnival Games´ since its debut in late August. Earlier in the same call, Feder addressed a question by Hudson Square analyst Daniel Ernst about its commitment to the Wii platform. 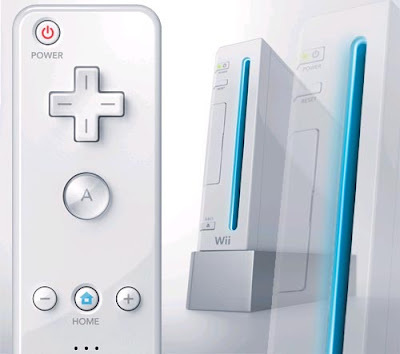 Benjamin Feder (CEO): We have seven titles on Wii. We’re pretty proud of that, actually. We’ve turned this company from a non-Nintendo shop into a shop that’s focused as much on Nintendo as it is on every other platform. Just to name a few, Bully is coming out on Wii, Prizefighter will be coming out on Wii. And actually, we think prizefighter as a boxing game is actually a pretty compelling game on the Wii. And it’s not just the Wii. We are also focused on the DS. As we said, Carnival Games will be coming out on DS and so we are pretty excited about that and as I said, we have a pretty good track record on the Wii and we tend to exploit that. So I wouldn’t characterize it as light. I would characterize it as perfectly appropriate. On a sidenote, the company´s support for Sony platforms seems to be diminishing strongly. Revenue from PlayStation3 titles for the financial year ending October was 10 percent. For the last three months, however, that figure was down to 5. For the Wii platform, that figure was 5 percent for the entire year and 11 percent for the last three months - the exact opposite. Revenue from PSP titles was down from 18 percent in 2006 to 10 percent this financial year. I don't understand why Take-Two would say Grand Theft Auto isn't suitable on the Wii, when their decision to put Manhunt 2 on the Wii contradicts it otherwise. Manhunt 2, while not as stellar as the Grand Theft Auto titles, has been the most gruesome and controversial title Take-Two has ever put out on Nintendo's little system. So, what is Take-Two's reason for not putting Grand Theft Auto on the Wii? Is it because it's a sandbox title? Games like Scarface: The World is Yours, The Godfather: Blackhand Edition, and the upcoming No More Heroes surely prove that Wii can handle it. Although not to the same extreme as Grand Theft Auto IV, it's more than sufficient with the first two getting some positive reactions. Anonymous: GTA may be overrated, but remember that GTA: San Andreas racked up OBSCENE numbers of sales. biohazard: The problem is that nobody really bought Manhunt. It was released, but many just gave a shrug of apathy toward it. i think we should put gta 4 on the wii because there is alot of teenagers that have the wii.and also it would be cool to use the wii controller for the wii and i we could use the gun to target.and guess what the wii has good graghics and it could really handle it.and half the people cant afford ps3 because its alot of money even the games thats why i got the wii. Gyration created gw2 keythe initial movements sensing Manufacturers recreation control model in Late 2001 along with formulated a lot of the discussion principles amongst movements game Rs Goldcontrollers and gameplay.